A contemporary cozy mystery for those looking for fun and adventure at their next book club! After gathering seven crime buffs together—including young librarian Missy (as ditzy as Miss Marple and as sharp), fashionista Claire, paleontologist Perry (both stylish and fastidious like Poirot), dashing Dr Anders, a poisons expert, and socialite Barbara Parlour—Alicia grows suspicious when one of them fails to show for the next book club. Barbara has disappeared from the face of the earth and her arrogant husband, Arthur, seems coldly unconcerned. The group suspects him of foul play until he suddenly shows up dead. With two baffling mysteries and time fast running out, the book club decides to do as the meddling Miss Marple would do and investigate! 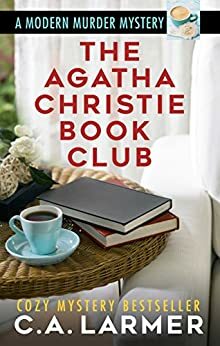 So begins the first exciting instalment of the Agatha Christie Book Club (ACBC), a motley collection of amateur sleuths who use Christie as their guide to help solve a range of mysteries that fall into their lap. Following in the footsteps of Hercule Poirot and Miss Marple, the group must sort the clues from the red herrings to solve the murder of Arthur Parlour and determine what happened to his missing wife. Has she been brutally murdered or is she somehow, somewhere still alive? Like Poirot before them, the ACBC uncover a stream of shifty suspects along the way including flirtatious housekeeper Rosa, sleazy tennis coach Jake, traitorous BFF Wanda, and impoverished brother Niles. They must also face each other because, as Alicia discovers, each of the book club members is hiding a secret of their own. Their secrets could jeopardize the case, or crack it wide open. 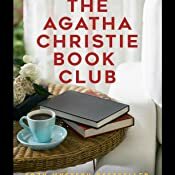 Returning to Agatha Christie's books time and again for inspiration and advice, the ACBC quickly unravel a baffling mystery that will leave readers guessing right until the end. C.A. Larmer, author of the popular Ghostwriter Mystery novels, shines again in this exciting new series that is fun and easy to read with eclectic characters and a plot you simply can't put down. Can you work the mystery out before the Agatha Christie Book club do? 3.0 out of 5 starsCan I join the Agatha Christie Book Club, too? The core group of characters that make up the book club were interesting, and each has a distinct personality that I hope will be expanded on as the series continues. The mystery itself was well thought out, and amateur sleuthing undertaken by the ACBC was fun to follow. In true Christie fashion we get the ‘big reveal’ and I loved it. Will definitely be picking up the following books in the series. I loved the quirky characters who make up this book club and the light-hearted approach of the author. The plot was believable if a little predictable. It's a great book when you want to escape with some light entertainment. I am looking forward to reading more of these endearing characters and their exploits. Yes it turned out to be quite interesting and got me back into Agatha's Novels. A light hearted mystery book. Not a bad read. 5.0 out of 5 starsA good read for a lazy Sunday afternoon. I enjoyed the settings, characters and plot. Look forward to meeting this crew again as they search for clues and unravel secrets about each other. Kept me guessing but not really wanting more. A good light read along the Christie lines but the characters just weren't deep enough.